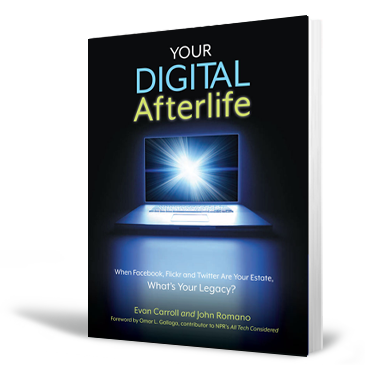 Your Digital Afterlife: A book about digital death and legacy. John Romano and Evan Carroll appeared on CBS Miami discussing Your Digital Afterlife and how individuals should prepare an inventory of their digital assets. Evan and John joined ABC 11's Angela Hampton for a discussion of Your Digital Afterlife.